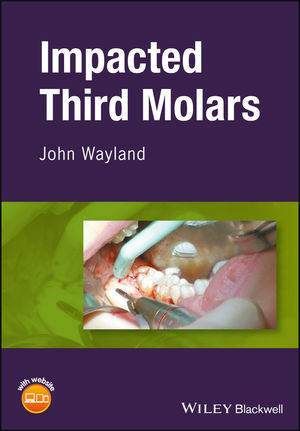 This book offers a comprehensive surgical guide for the successful removal of impacted third molars. It walks readers through basic anatomy, case selection, complications, pharmacology, and anesthesia, and covers surgical principles and techniques in detail with illustrations and photos. Instruments and postoperative care are also described, and a unique chapter discusses the author's mobile third molar practice. Impacted Third Molars covers everything that dentists need to know to safely remove impacted third molars with efficiency and confidence. Impacted Third Molars is an ideal reference for the general dentist, specialist, or resident. John Wayland, DDS, FAGD, MaCSD, is founder of Western Surgical and Sedation and maintains a mobile third molar practice in the San Francisco Bay Area, California, USA.